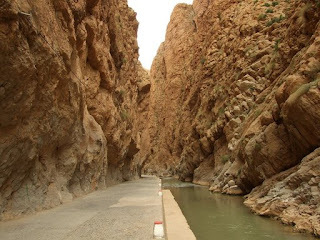 Dadès River (French: Oued Dadès) is a river in Morocco, located at 31.0025° N 6.5266667° W. It rises in the High Atlas and then turns south crossing through the Dadès Gorge, thence westward between the High Atlas and Anti-Atlas mountain ranges. Finally river meets Ouarzazate River and enters Draa River. 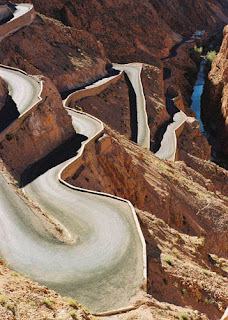 The Dades Gorge is easily accessible by taxi from nearby Tinerhir. The scenery is significant with views of interesting rock formations. The valley itself is made lush and green by the river, while the surrounding area is rocky desert. There are simple communitities still living here in traditional houses. Women can be seen washing laundry in the river and laying it to dry on the surrounding bushes.